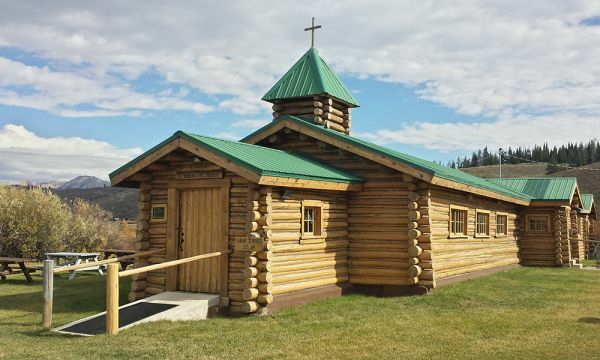 The Chapel of St. Hubert the Hunter is located in the picturesque Hoback River Valley in Bondurant, approximately 35 miles from the Town of Jackson. Set against the Gros Ventre Mountain Range, the Chapel is located on a 1-acre parcel in the Bridger-Teton National Forest. Completed in 1941, the Chapel is listed on the National Register of Historic Places. In 2011, we celebrated the Chapel's 70th anniversary as the valley's center for social gatherings. Morning Prayer Service or Holy Communion: Sundays (Summer Only) 11:15 a.m.